Book 20 or more delegates and select some special sweeteners! Upgrade to our Barista Coffee Delegate Package for $10 per delegate! Stamford Plaza Adelaide offers 11 specially designed meeting and function rooms, two of which offer natural light, catering for any occasion and up to 300 people. The magnificent Crystal Room, with its own private lift access, has been adorned with ornate ceiling patterns and Waterford crystal chandeliers, offering a spectacular view from its regal ambiance. The elegant Boulevard Room has balcony access and views of Parliament House, whilst the spacious Terrace Ballroom can be divided into three separate rooms. There are also dedicated cabinet boardrooms, which feature inbuilt AV equipment and are ideal for small group meetings. Superbly situated in the heart of the city on Adelaide's key cultural boulevard North Terrace, the Stamford Plaza Adelaide is a luxurious and convenient conference and event facility, located opposite the Adelaide Convention Centre, Parliament House and Adelaide Casino. The hotel is also a short stroll from the city's exciting nightlife, bustling shopping precinct and business centre, and only minutes from major tourist attractions. 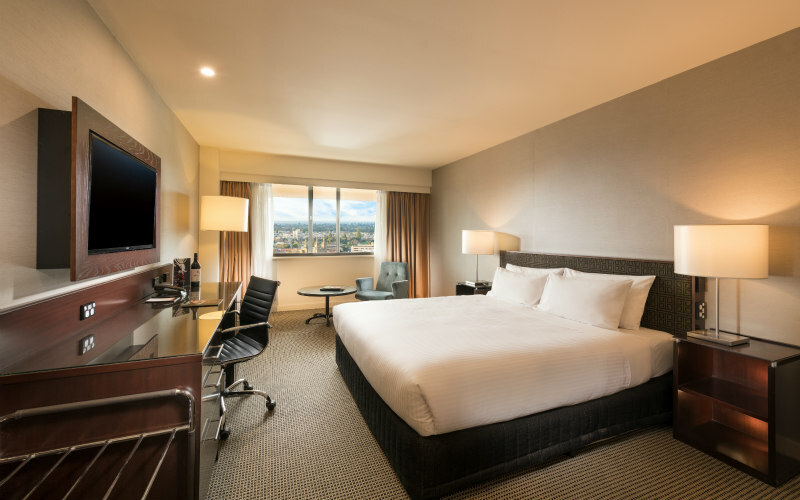 The hotel features 335 contemporary and spacious guest rooms, including 22 suites, with panoramic views of the city or Adelaide parklands. All rooms are well appointed including internet, direct dial STD/IDD telephones, in-room safes plus more. In-house facilities include three diverse restaurants, two bars, a rooftop pool, spa, sauna, gymnasium and Executive Lounge. Stamford Plaza Adelaide has collaborated with food delivery giant, Uber Eats, to launch a new catering initiative that will introduce their quality food products to a whole new market. 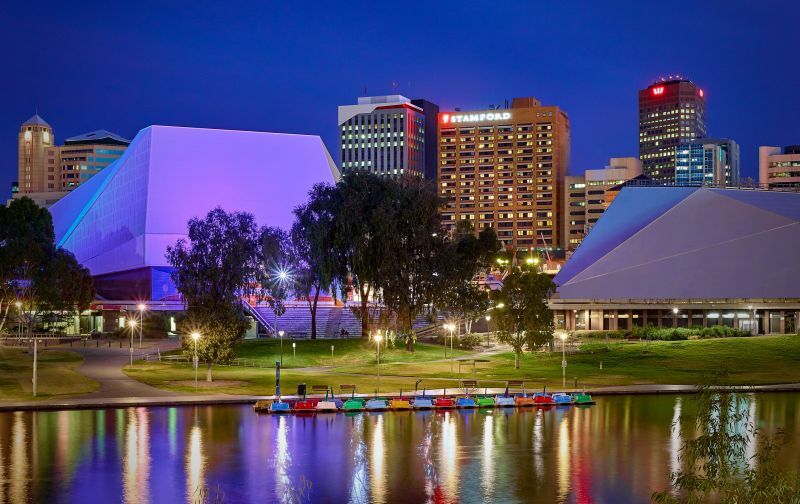 Stamford Hotels & Resorts has invested over $5 million into Stamford Plaza Adelaide over the past 3 years to ensure the hotel stays competitive in Adelaide's booming hotel market. Stamford Plaza Adelaide's status as an exceptional five-star hotel has been further enhanced with the election of our Chief Concierge, Mr Adam Forth to the position of State Director for the South Australian chapter of the international organisation of hotel Concierge - Les Clefs d'Or. Adelaide’s premier conference and meeting venue, Stamford Plaza Adelaide has introduced new healthy menu options for corporate events. The five star hotel has revamped their food offerings with a focus on healthy eating choices to support better concentration and productivity from guests at conferences, workshops and meetings. Stamford Hotels Adelaide Area General Manager Russell Cool said the new menus were packed with nutrients rather than empty calories in response to changing industry trends.